Alcatel-Lucent offers a wide range of multiservice media gateway systems, and the PacketStar PSAX 1250 is one of its industry leaders for supporting central offices and large enterprises. Worldwide Supply is the top partner to help you deploy one in your network. 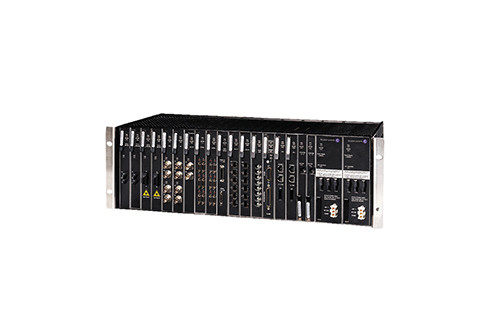 The Alcatel-Lucent PSAX 1250 offers multiple configurations including support for either one or two Stratum 3-4 modules, power supply modules and CPU models. Mix and match as needed to deliver the right combination of growth potential and redundancy for security. Consolidate voice, video and data traffic on a single ATM network or extend the capabilities of your embedded ATM-based equipment that’s already handling your voice and video today. Our selection of new and used Alcatel-Lucent PSAX 1250 make it easy to grow as you need. The Alcatel-Lucent PSAX 1250 is a multiservice media gateway designed specifically to support central office-based multiservice ATM access functions. You’ll get a significant boost to network reliability for ATM data applications, frame relay, multiplex voice and many more applications. The system is designed to help you grow capabilities, reach and reliability in almost any network deployment. Worldwide Supply is your trusted supplier for used Alcatel-Lucent PSAX 1250 models. We can help you understand configuration options to give your network exactly what it needs, right where it needs it. Every refurbished Alcatel-Lucent PSAX 1250 19-inch chassis from Worldwide Supply supports ten slots, while the 23-inch options support 14 slots for I/O server modules. Each configuration can also support 1.2 Gbps ATM cell bus architecture, carrier-grade reliability, complete redundancy capabilities and a considerable number of interfaces: DS1/E1, DS3/E3, OC-12c/STM-4c, 10/100Base-T Ethernet and serial, just to list a few. Each used, refurbished Alcatel-Lucent PSAX 1250 is a smart, cost-effective access switch you can use for bridging your top equipment with any legacy infrastructure to meet more customers and their demands. The PacketStar Alcatel-Lucent PSAX 1250 multiservice media gateway continues to be popular in carrier and other networks around the planet. The age of the device now allows for a steady stream of used units that Worldwide Supply acquires. We thoroughly review and repair each unit until it can be designated a refurbished Alcatel-Lucent PSAX 1250. This refurbished status means it has passed in-house tests and meets original standards set by the OEM. Our OEM-trained-experts can verify the reliability of equipment after repairs and maintenance. To provide you with peace of mind, we back up all sales with lifetime warranties covering both new and used equipment. You simply get a chance to save up to 80% compared to original OEM pricing.